Online ordering menu for Crisp & Juicy. 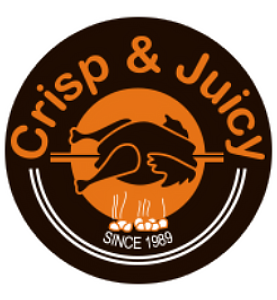 Crisp & Juicy is the place to go in Silver Spring for the best Charbroiled Chicken and Grilled Chicken platters! We serve the best Sandwiches and Salads plus our menu includes Hamburgers, Sausage, Argentine Style Steak, Fried Yuca and much more! We are located on the corner of Colesville Rd and East West Highway next to the CVS and across the street from the NOAA Central Library. We aren't too far from the Rock Creek Park Golf Course. Order online now and skip the wait!